This richly conceived and tightly plotted psychological exploration of family and tragedy will have you racing toward its shocking and thought-provoking conclusion. Fantastic and engaging story of the aftermath of a tragic accident. Very insightful and sharp writing. This story would make a great movie! This heartfelt and emotional story starts off with an almost unbearable tragedy. Two young people returning home from a party are involved in a relatively minor accident. But one of the people in the car dies. It was Chrissy, the stepsister of the alleged driver, Kip. How can their parents deal with this? When Kip is charged with manslaughter as a result, the family is broken apart. The author then raises the question: is there such a thing as a “good” lie? But the parents, Peter and Leigh, differ on what it means to deal with Kip’s arrest and the death of young, beautiful Chrissy. I loved the questions raised by this thought-provoking book especially in light of the fact that Leigh is an experienced divorce attorney who has seen her share of broken families. Not only did she think that she and Pete had the perfect blended family, she thought she knew what it took to make a second marriage work. Family loyalties are divided as Peter and Leigh must wrestle with their grief over losing Chrissy, but with the harsh reality of Kip’s arrest. Leigh does not believe her stepson’s account of the night of the accident. But Pete is determined to stick by his son and will do whatever is takes to keep from losing his promising future. I was fascinated by Leigh’s clients and the way all of the threads of the plot came together in the end. 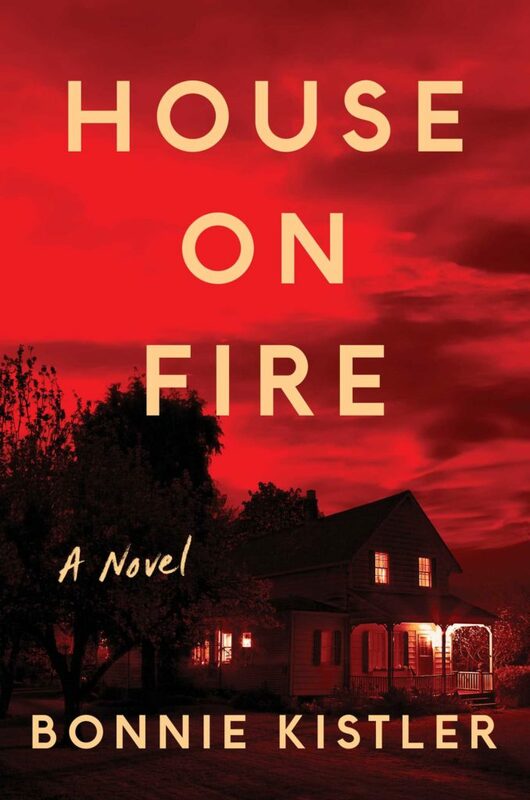 While ‘House on Fire’ is a sharp family drama, it is also a smart legal thriller, providing plenty of intrigue and heart-stopping action. I was rooting for Peter and Leigh’s marriage to survive Chrissy’s death and Kip’s arrest while at the same time devouring the juicy details of Leigh’s clients’ own family dramas. The author explores what it means to be truthful and how grief operates on its own timeline. Smart, clever and engaging, this was my kind of book. I loved this page-turner and can’t wait for more books from Ms. Kistler! Sounds really good! Need to check this out!